I love the idea of mixing an matching chairs for an eating area, especially when a couple are a little roughed up like that sky blue wooden school chair. Mix textures, colors and styles to create a one-of-a-kind space. p.s. Unrelated to chairs, there's some exciting things happening in real life-- I'll be sharing soon! Hint: I'm NOT pregnant. Completely agree! 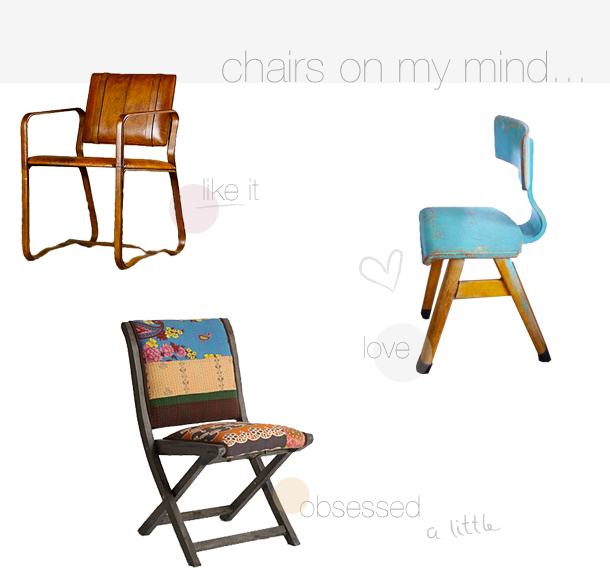 I love mix-matched chairs at dining room tables, especially rustic or vintage pieces. Each one tells a unique story and acts like an accessory to the room! Great pics! !